This illo is about my conversations with my son while I draw for him. 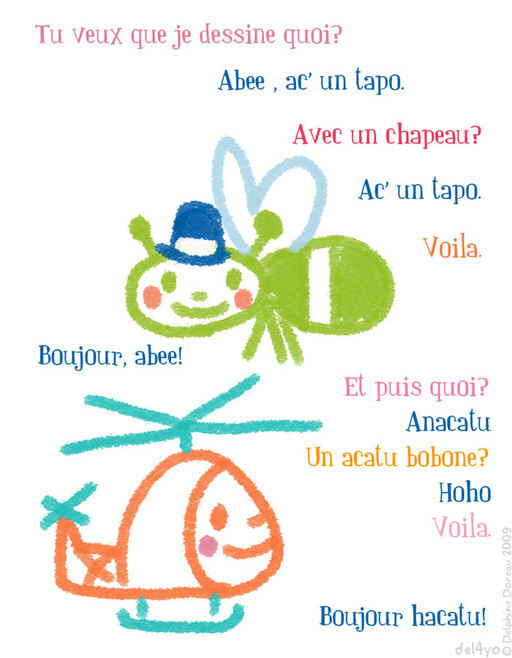 These days he asks for bees with hats and helicopters with faces. Every new character is greated by a warm "hello bee! hello hacatu!" when I'm finished with the face. We can go like this for a long time, his face smiling at the screen, cuddling on my lap. Lovely.